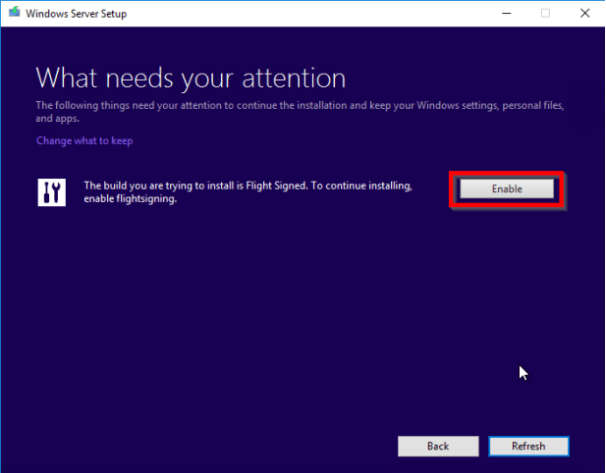 In-place upgrading of a Windows Server Operating System allows the Administrator to upgrade the existing installation of Windows Server to a new version without changing the existing settings and features. 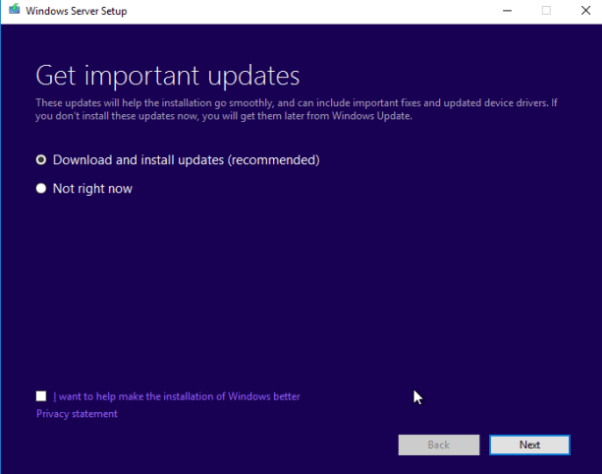 The Windows Server 2019 In-Upgrade feature allows you to upgrade the existing The Long-Term Servicing Channel (LSTC) release like the Windows Server 2012 R2, Windows Server 2016, and Windows Server 2019. The in-place upgrade service allows organizations to handle upgrades to newer versions within the shortest time possible. The direct upgrade is possible even when your existing Server Installation requires some dependencies before an upgrade. Clients who do not document server installations or do not have the infrastructure or code for deployment will find it hard to upgrade to new Window Server versions. 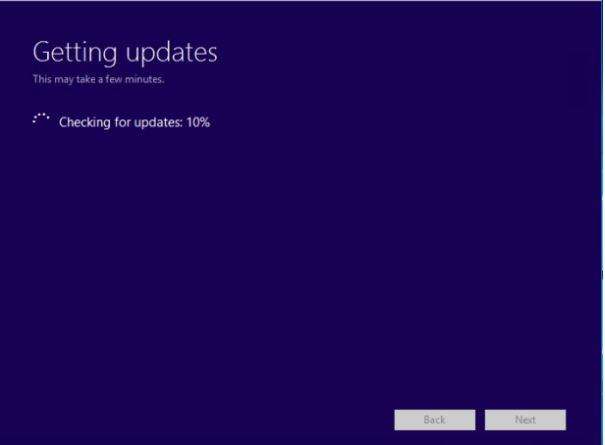 Without the Windows Server 2019 In-Place upgrade feature, you will miss many improvements on WS2019. The existing installation will be discovered, and you can perform the in-place upgrade. The installation should not take more than five minutes, but it all depends on the speed of the server and running roles and features. The following example shows an in-place upgrade from Windows 2016 to Windows 2019 from an ISO file. Select the option for keeping personal files and programs because we intend to upgrade the Server. Click on Next. A warning will pop up about upgrading to a new Windows Version. Read the message and if you are okay with it click on confirm. The next step requires that you click on FlightSigning to enable it. (FlightSigning enables you to trust Windows Insider Previews builds that have signed certificates but not trusted by default. Click on install to initiate the installation process. The Apps and Features open the settings panel and not Programs and Features as it in Windows Server 2016, which opens Control Panel where you can uninstall or change program and settings instead of the control panel. Windows Defender Security Center has all the security settings. There is no much difference experienced if you have installed an Active Directory Directory Services on Windows Server 2016. The Forest Functional Level (FFL) and the Domain Functional Level (DFL) are named Windows Servers in preview versions; use the Active Directory Service Configuration wizard to promote the server. The Domain Controller options wizard will take you through the Server promotion wizard. At the moment, most developers are still running tests on servers using the kind of hardware you will find in a professional environment. Testing using the Virtual Machines could also give good results however a server operating system should be verified using hardware deployments. The responsibility of any system or IT administrator managing a server environment is to make sure that everything runs as expected. All activities and components that determine things like disks running out of space, the capacity of the memory used in processing connected hosts, know when to plan for new Virtual Machines, etc. The proposed Windows Server 2019 system insights are available in the preview that helps in the analysis of the capabilities of Windows Server 2019. The capabilities are supported through machine learning, analysis of server system data like performance counters and events that give accurate predictions. The highly accurate predictions will help you to cut down on operational expenses that run into the management of the Windows Server 2019 instances. The Windows Server 2019 also enables IT administrators to be proactive when it comes to detecting possible problems within the Windows Server environment. All the analysis is collected locally without the need for a specialized storage server or cloud configuration. Those using the Azure Log Analytics (OMS), can view all events on the Azure log Analytics. What Are the Windows Server 2019 System Insights Capabilities? Going through the predictive capabilities, you can activate some features on demand or configure them to run on a given schedule. Restorative services can be customized to run automatically after a particular result is obtained. This automation is supposed to help users to solve issues automatically the moment it is noted. You can view and understand how individual Windows Servers are trending with their capacity predictions. Activating the PowerShell remotely, to sum up, all prediction outcomes of all related Windows Server instances. Examples of such instances include cluster, rack, tier, application, and data center. If you want to know how the overall fleet is trending, compute storage or network capacity dimensions. You can set custom rules to extend the capabilities. Windows Server System insights have two centers of management. Using the Windows Admin Center through its web interface, or manage the insights through the PowerShell directly. Managing the server insights from the Windows Admin Center is by adding the extension associated the System Insights to the server that is to be managed. Through this interface, you can enable or disable System Insights. The Admin Center installs the System Insights on the local server. Once the feature is installed, use the Get-InsightsCapability to give you all the options. You can look at the two examples below on how you can enable and disable capabilities. The results are visible by using the Get-InsightsCapabilityResult command. It is good to note that the information from this command is not instant. By default, you will get the predictions of the first five days after activating the feature. Microsoft usually releases improvements to its Windows servers on a frequent basis. The next in line is Windows Server 2019. The tech giant announced its scheduled release on March 20, 2018. This is after two years since Windows Server 2016 was released. The first server to be released under this brand name was Windows Server 2003. 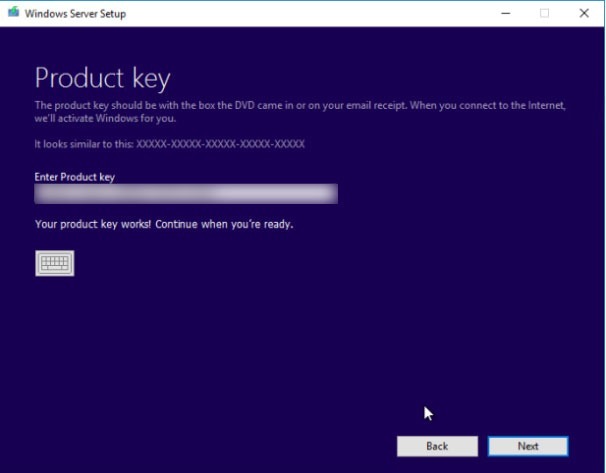 Although Windows Server 2019 has not been officially released, its preview is available for access. Microsoft said it will be fully released later in 2018. Being the latest build, it is expected to come with several interesting new features. Windows Server 2019 is based on the sturdy foundation of the previous version, Windows Server 2016. Here are some amazing upcoming features in Windows Server 2019. The first feature which many people would consider is security. This is because of the increasing cyber security incidences. A study by Microsoft shows that cyber attackers take just 24-28 hours to infect a system and can stay unnoticed for about 100 days. Many people have fallen victim to these attacks, which make them lose valuable information and resources. This version of windows presents a three-fold strategy to security: Protect, Detect, and Respond. All the three areas have been covered in terms of security features. Regarding the Protect security strategy, Microsoft has improved the capabilities of Shielded VMs, which were introduced in Windows Server 2016. The purpose of Shielded VMs is to safeguard virtual machines from unscrupulous administrators. This means that only legitimate VM administrators can manage it on broadcasted and healthy fabrics. Another advantage is that these shielded VMs also support Linux-driven virtual machines. To improve the troubleshooting features of Shielded VMs in both Windows and Linux operating systems, Microsoft intends to extend VM Connect. Encrypted Networks will also be incorporated which will allow administrators to encrypt and protect network segments without much hassles. Regarding Detect and Respond security feature in Windows Server 2019, Microsoft has included Windows Defender Advanced Threat Protection (ATP) which offers an added layer of protection. It also can detect external intrusions as well as zero-day exploits, which increase response times and implementation of security measures. As a result, it will allow customers to access deep kernel and memory sensors, something which will enhance anti-tampering capabilities and quicken the response of server machines. To ensure that customers’ digital assets are safeguarded from cyber attacks, Microsoft has tried to cover all security loopholes in this version of Windows. HCI is one of the latest trends in the server industry today. A report by IDC shows that the HCI market grew by 64% in 2016. And, by 2019 it is forecasted that it will be a $5 billon industry. The reason for this rapid growth is because customers understand the advantage of having x86 servers with robust and productive local discs, which simultaneously caters for their computing and storage requirements. Furthermore, HCI comes with the flexibility to scale such deployments conveniently and speedily. Microsoft is also including the capability to control HCI deployments in Project Honolulu, something which customers have been looking forward to for simplifying their daily management tasks on HCI environments. Microsoft aims to improve the developer experience by enhancing the capabilities of Windows Server containers and Windows Subsystem on Linux (WSL). Windows Server containers were initially introduced in Windows Server 2016 and have been widely used. Since their introduction, thousands of developers from around the world have downloaded millions of the container images. In Windows Server 2019, Microsoft intends to shrink the Server Core base container to about 30% of its present size of 5 gigabytes, something which the developer community has been asking for. Therefore, the reduced size will lead to a reduction of 72% in download time, which will further accelerate performance. Microsoft is also enhancing the options users can have appertaining to deploying Windows Server containers. In Windows Server 2019, Kubernetes support, which is presently provided in beta, will have major enhancements concerning computing, storage as well as networking capabilities. However, developers have been claiming that switching environments between Linux and Windows deployment is difficult. To tackle this issue, Microsoft has extended WSL into insider builds available in Windows Server. This means that Linux containers can be ran simultaneously with Windows containers on a Windows Server. Microsoft is incorporating all these features to help Linux users to include their scripts in Windows environments without many difficulties. This new edition of Windows will offer advantages to businesses that require robust hybrid cloud solutions. Cloud technologies are already widely used to extend Active Directory, backup critical data, and carry out other essential tasks. In Windows Server 2019, the tech-giant intends to make it simpler and easier for customers to adopt hybrid cloud solutions. For example, customers will be able to incorporate Azure services conveniently and without interrupting their applications and critical IT operations. 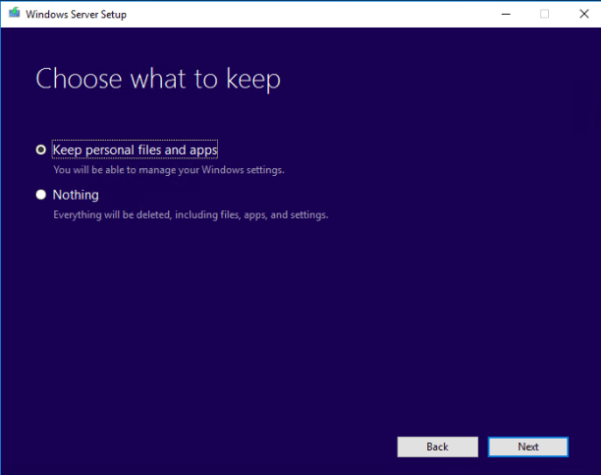 For installation purposes, Windows Server 2019 offers the Server with two installation alternatives. You can either choose the Desktop Experience or the Server Core installation option, a feature which guarantees application compatibility for present workloads. The Windows Server 2019 is considered a Long-Term Servicing Channel (LTSC) release. This implies that Microsoft will provide its mainstream support for five years and another extended support for five years. Windows Server 2019 also comes with the same licensing structure as Windows Server 2016. However, Microsoft has said that it is likely to increase the price for the Windows Server Client Access Licensing (CAL). For tech lovers, the release of Windows Server 2019 will be a huge milestone. The full version will be released later in 2018. Considering that Windows Server 2016 was the fastest model to be adopted, the 2019 model may be bigger and better. With a series of eye-capturing capabilities, Windows Server 2019 will offer more benefits to users upon upgrade. This will be a major development for Microsoft, as many people are anticipating for its release. 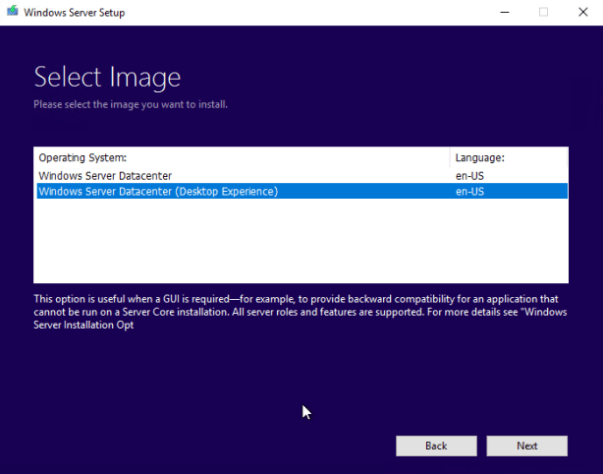 If you wish to try the Windows Server 2019 preview version, you can download it here.